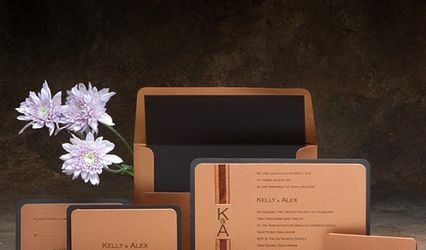 We specialize in creating unique and one-of-a-kind wedding invitations, party invitations and baby announcements as keepsakes. Also, new this year, seating placecards and menu cards are available. 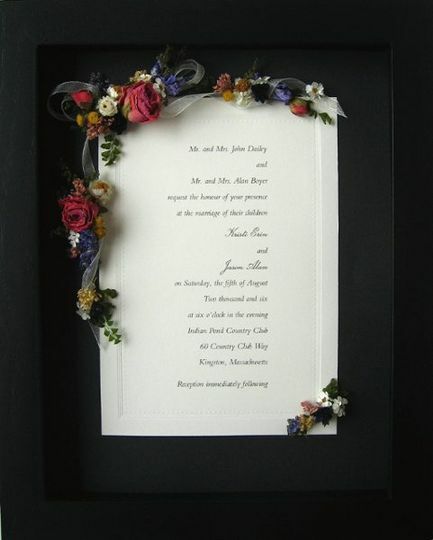 The invitation or announcement is mounted on a cardstock mat and is surrounded with dried flowers such as roses, ferns, Australian daisies, and delphinium. 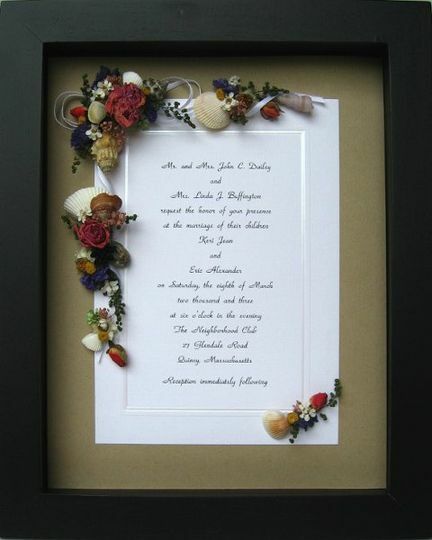 Once completed, the design is inserted into a stylish black or whitewash shadowbox frame. 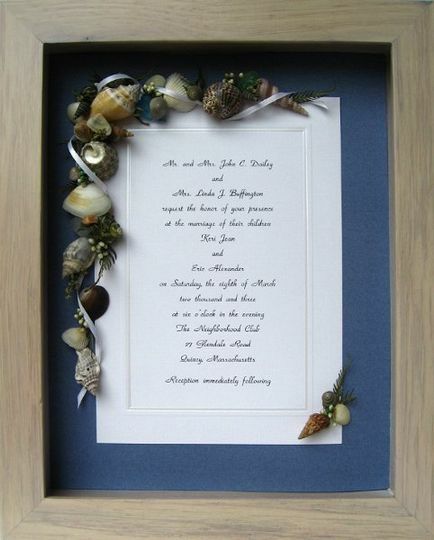 For a beach-themed keepsake, small shells are used by themselves or in addition to the dried flowers. For baby announcements, miniature blocks, buttons, a tiny stuffed animal, and other baby themed items are used. 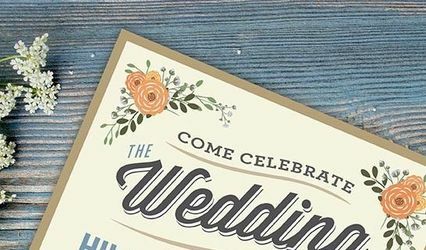 The finished size is 10X13 which fits most standard invitations and announcements. When completed, the framed keepsake is wrapped with tissue and tied with ribbon before being placed in a white gift box. 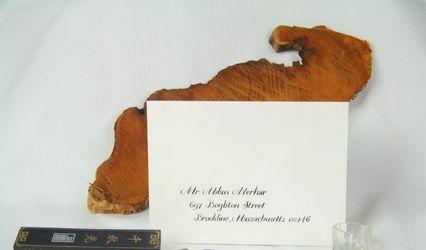 An enclosure card is included with your purchase to allow you to write a personal message to the recipient of this special gift. Our framed invitation is so beautiful! It is a constant reminder of our perfect wedding day! I received this as a gift after my wedding almost 6 years ago and people still comment on how beautiful it is. I smile every time I look at it because it reminds me of how much fun I had that day.